Surf and Stay with Soul Surf School, one of Tripadvisor’s highest rated activity providers in Byron Bay. Let us introduce you to surfing on some of Australia’s most stunning beaches. Our professional surf coaches all with a minimum 8 years coaching experience in the local area will take you to the best waves on the day, teaching you the foundations of good surfing in a fun and safe environment. After the session relax in our Byron Bay beachside surf hostel, a 30 second walk to Byron’s famous main beach and take advantage of everything that the stunning town of Byron has to offer. Everything from stunning beaches, amazing scenery and wildlife, live music, award winning restaurants and of course the famous Australian weather awaits you. 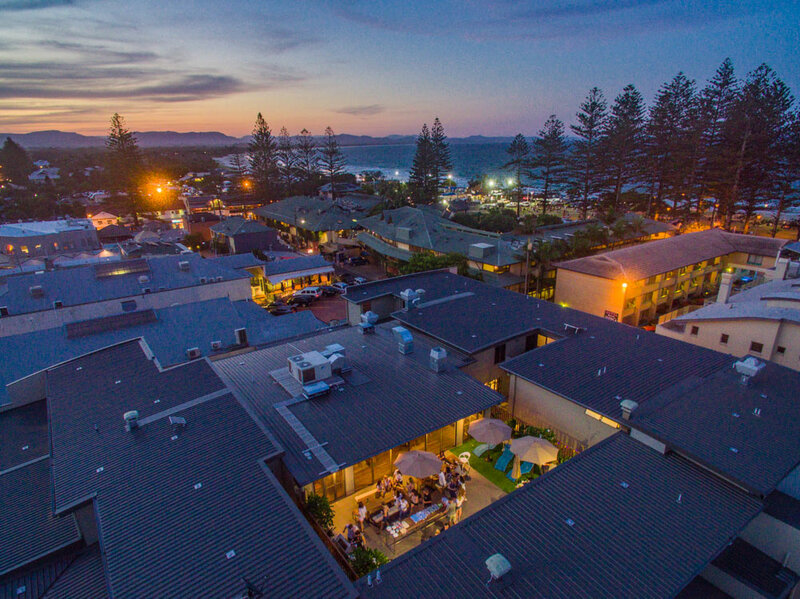 Our accommodation is Byron’s premier surf hostel, located a 1 min stroll to Byron Bay’s main beach and a short walk to the most Easterly point of the Australian mainland and Byron’s iconic lighthouse.